Of all the various time management tools out there, the Calendar seems the most proper and useful. Whether it be a business meeting, your friend’s birthday, or just a simple daily reminder, a good Calendar can make life easier. Talking of which, the Google Calendar is one of the most efficient and handy tool for event and time management of all types. With its integration with several other Google services, it is the most useful of its kind. 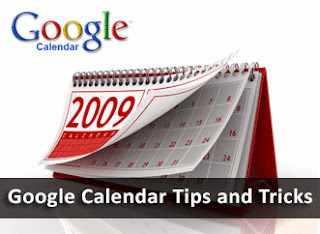 Now let’s take a look at 10 really useful tips and tricks for using Google Calendar. In order to get the holidays and various sports events notifications, you can add up a whole new calendar of these kinds. Click on the arrow beside Other Calendars and click on Browse Interesting Calendars. Hiding inactive comes in handy as you get to focus only on the important ones. Also, meetings and events are usually on office timings and the vacant spaces only create problems. Click on the Settings gear and then on Labs to select the hours to hide. Enabling the option will allow you to manually hide any hours you don’t need on your Calendar. Not always you can be hooked up on the Calendar website for event updates. Email notifications come in handy therefore. Calendar will automatically mail you on schedule the notifications and will keep you updated about any upcoming events. To do that, click on the downward arrow beside a calendar and click on Reminders and notifications to set the scheduling. In order to quickly add an event details, just click on a time slot and a dialog box will open up asking for the details. Add up the agenda in the What field and click on Create event. You can edit the detailed info about the event any time by just clicking on it. Not 24/7, you can have access to the internet. Especially when you’re on road and need to check your meeting details, without an internet connection you are (or rather were) helpless. Google Calendar App for Chrome browser helps in you in such a situation. From the settings gear, click on Offline to get the app which will automatically sync your Calendar for offline viewing. Having an out-of-city meeting are we? And unaware of the weather situations there? Well, Google offers you to add live weather forecasting on your calendar which will keep you updated about the weather of various places and you can plan your approach carefully. Open up Settings from the gear and enter your location in the Location box and the Calendar will also include weather notifications. Google Calendar allows you to combine two different sources together to make the Calendar more effective. In simple words, you can sync your Google Calendar with your Facebook and it will add up your Facebook events notifications and details on the Calendar too. One most popular such scheme would be the adding up of events on Calendar via an SMS. You can browse the various IFTTT recipes on the IFTTT website and easily add them up to your Calendar. Adding up a checklist of your To-Do items in the Calendar is a nice way of keeping organized and be on time. You can add up Google Tasks to your Google Calendar and stay organized and informed. To do so, open up the Month view and click on any date. In the dialogue box that opens up, open the Task tab and add the details of the task. When dealing with people or situations that reside outside of your country, a world clock is essential. Adding a world clock with the calendar helps you to stay informed about the various timings. The tool comes in handy when you have meetings abroad or your employer resides in a different Geographical location. Open up Labs from the settings gear and Enable the World Clock. No matter which app or tool we talk about, Keyboard shortcuts help in speeding up the task which can be really useful at times. There are several Keyboard shortcuts for the Calendar tool and you can enable them all from the General options in the Settings gear. Thanks Qasim, Found it helpful? Ahmed Shawan Just Now Posted. Here's another recommendation - ClipPod for Google Calendar. We've been using it to chat and share meeting related files inside our calendars and it's worked out quite well so far.